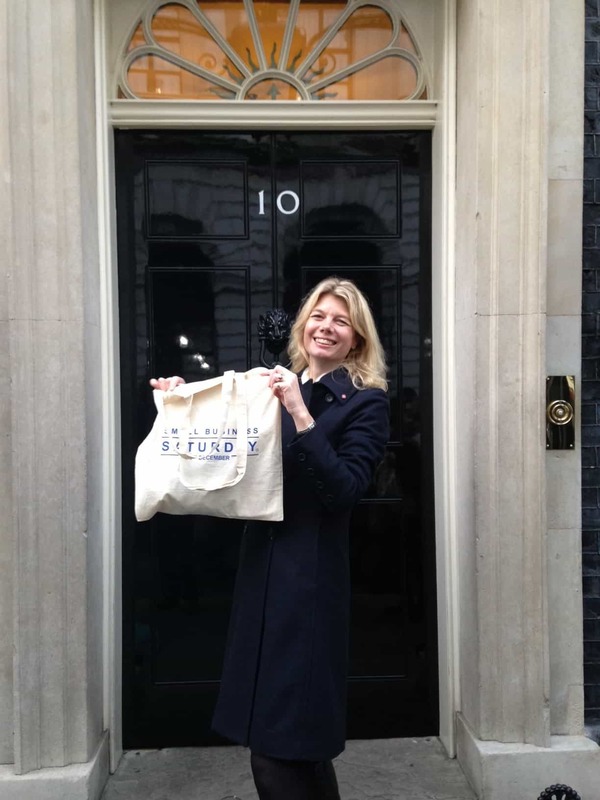 Home / Blog / Duncombe Sawmill goes to No 10! Duncombe Sawmill goes to No 10! Yes Emma Woods from Duncombe Sawmill visited No 10 yesterday when she went to Downing Street to a reception to celebrate Small Business Saturday 2016! The national campaign chooses 100 small businesses each year from around the UK. This year Duncombe Sawmill was fortunate enough to be included. The exciting trip to No 10 Downing Street included meeting many of the other 100 businesses to take part in the event this year, as well as the Small Business Minister, Margot James MP. The main Small Business Saturday event will take place tomorrow at No 10, on 3rd December 2016. Duncombe Sawmill will be joining in all the festivities in Helmsley from 10.30 – 1.00. Helmsley itself has ‘five hours of festive fun’ planned, along with the launch of its month-long Angel Festival. We will be decorating our display area with wooden angels and have a selection of wooden Christmas decorations for children to decorate, as well as family games to play. We hope you will come and join us! For more information click here, or use our contact page for details on how to get in touch.